Are you planning to utilize HP LoadRunner for your performance testing/engineering projects? But you may not have the right infrastructure to run enterprise projects? Or you might’ve faced a budget cut from your management from investing into infrastructure? 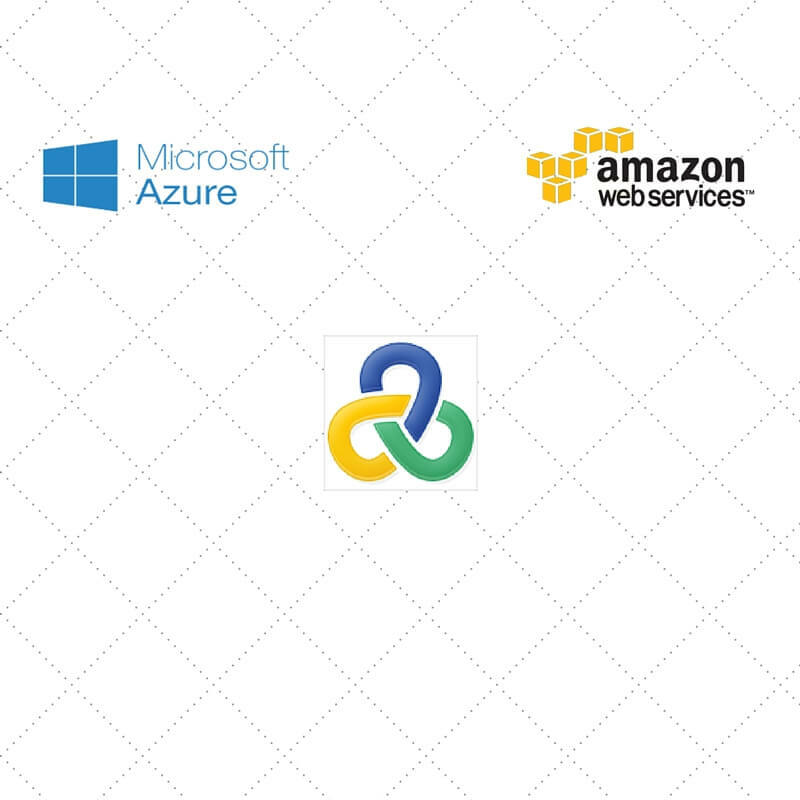 But still you can impress your boss by buying flexible subscription from Amazon Web Services (AWS) or Microsoft Azure marketplace which will help you to have a great infrastructure for your performance testing needs. In this blog post, we will see how to leverage AWS and Azure marketplace to leverage HP LoadRunner for successful project deliveries. Amazon AWS offers great package and pricing for your infrastructure needs. AWS offers free trier for 12 months. There are lot of products available for Compute, Storage, CDN, DB, Analytics, Mobile and so on. 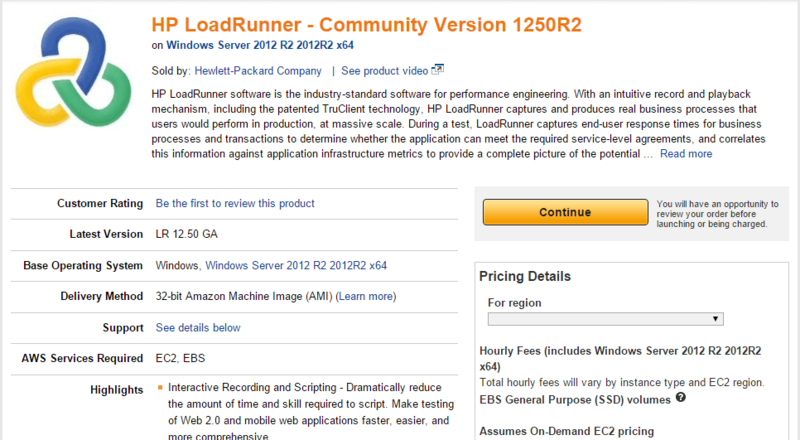 HP LoadRunner is available in this link in AWS Marketplace. There are two products listed: HP LoadRunner and HP StormRunner Load. You need a valid credit card to subscribe to software on AWS Marketplace. Once you sign up, you can select the region, EC2 Instance Type, VPC Settings, and Security Group. For pricing calculator, please visit this link. Once the instance is created, you can use Load Generator or Controller from AWS. Now we will see about Microsoft Azure marketplace. Go to this link https://azure.microsoft.com/en-us/marketplace/?term=LoadRunner to create a virtual machine for LoadRunner and click on the HP LoadRunner icon. Below is the basic tier pricing for LoadRunner in Azure. To subscribe for a free trial all you will need is outlook account and valid credit card. To calculate precise pricing, check this link. You can get free limited support as well as privileged support. 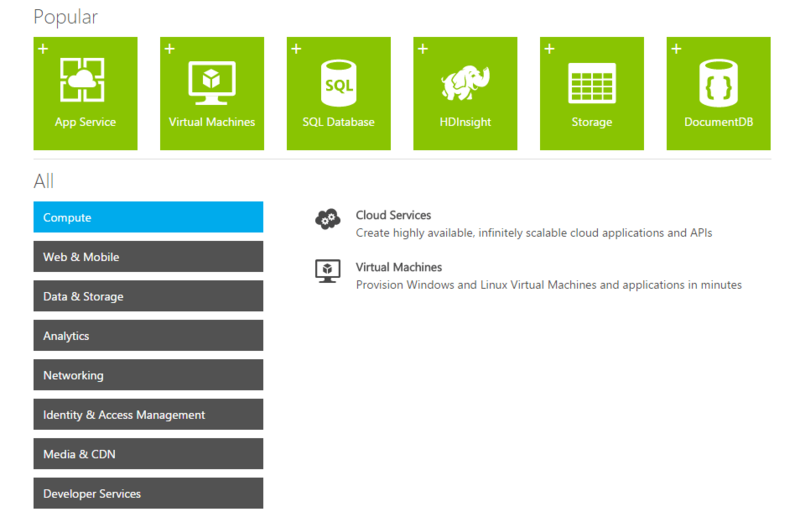 You can create or manage your resources in this Azure Hub. Like in AWS, Azure offers wide range of products as shown below. If you like my article, please do share in your favorite social media. Please do not forget to subscribe to my weekly newsletter, it is FREE.